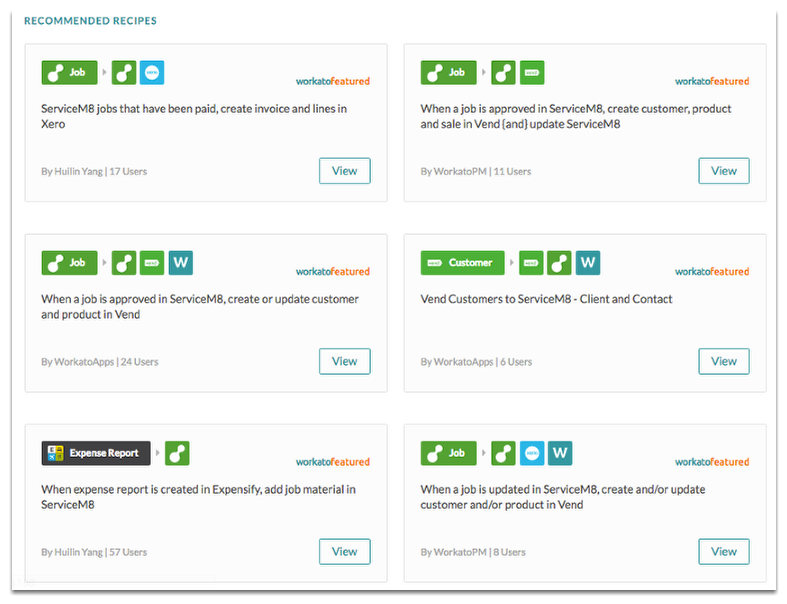 ServiceM8 enables you to take advantage of web app integrators such as Workato. Workato is an web automation app which allows you to connect and automate business workflows across supported cloud-based apps. This means you can build your own customised connections between supported apps, without needing to hire an app developer. Workato uses combinations of triggers and actions to connect apps together. These are called ‘recipes’. Recipe is a set of instructions or steps that tells you how your apps would work together and exchange information with each other. Trigger is an event that caused your recipe to start. Action is the resulting events that moved data across apps. You can find these existing ServiceM8 recipes here. You can give it a try for free if you sign up for a trial account here.